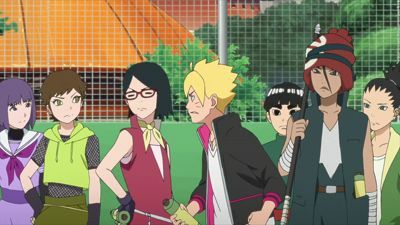 The final battle of the tournament begins with Boruto, Sarada and Shinki participating in a battle royale. 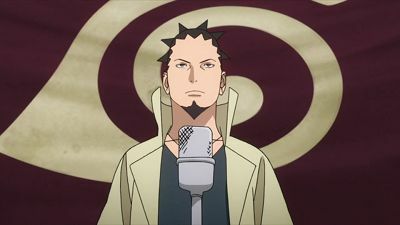 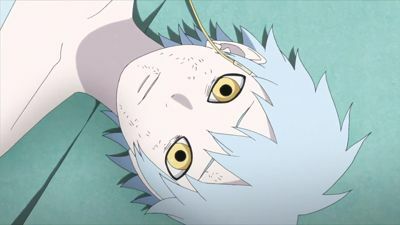 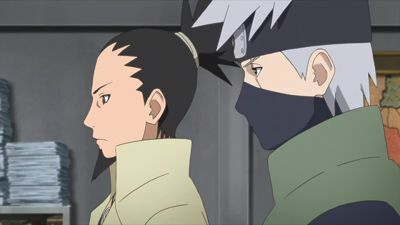 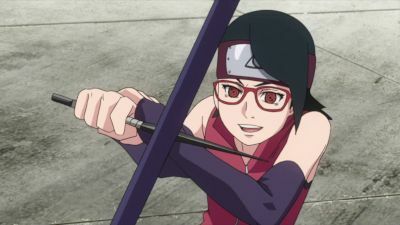 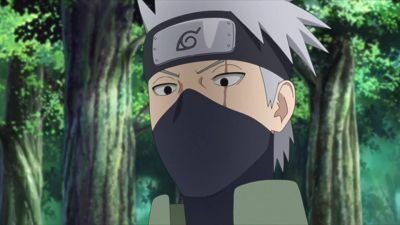 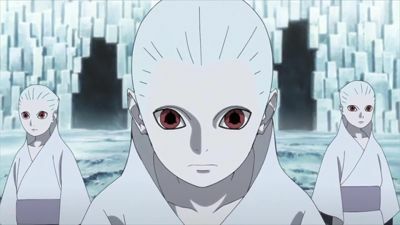 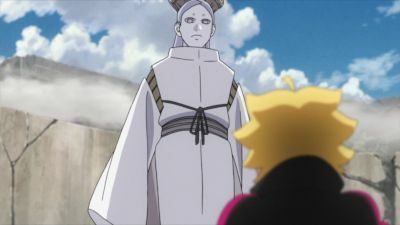 As the lone representative remaining from the Hidden Sand, Shinki is determined to preserve the pride of the Sand, and goes on the offensive against Boruto and Sarada. 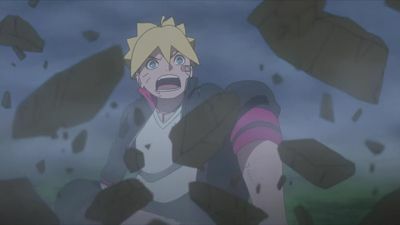 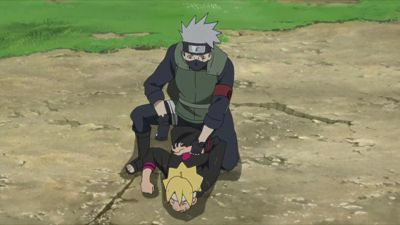 Boruto and Sarada team up to fight Shinki, but he puts up an impenetrable defense. 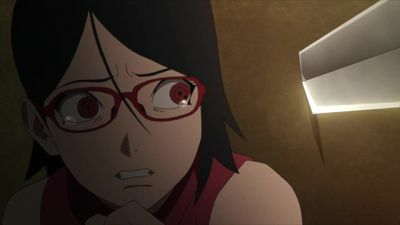 Sarada falls, and Boruto's chakra is nearly exhausted, but he refuses to give up! 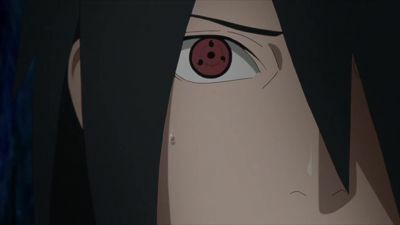 #7 - A Shinobi's Resolve! 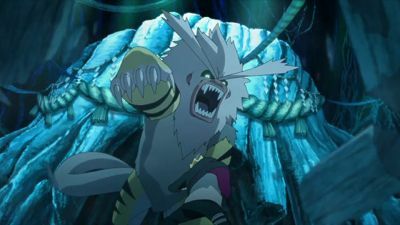 #8 - The Demon Beast Appears! 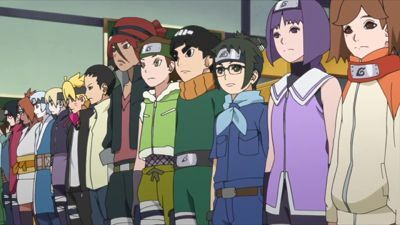 #10 - The Graduation Exam Begins! 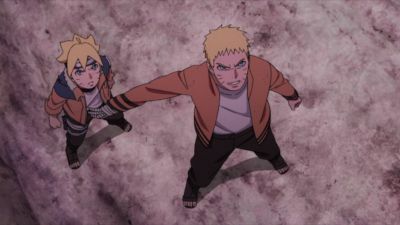 #17 - Formation of the Three Man Squad? 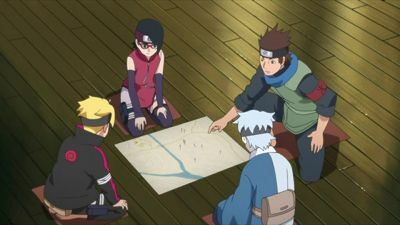 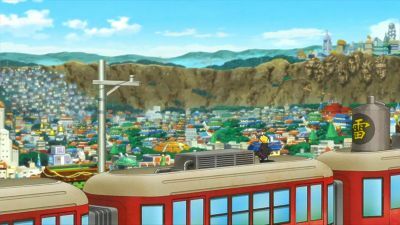 Boruto and his friends are successful in becoming apprentice ninja, ‘Genin’, their first step. 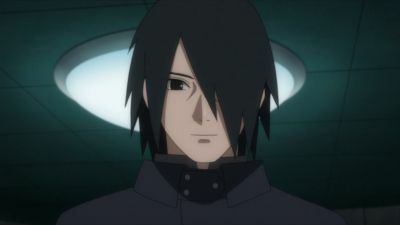 Firstly, they must form their basic teams to carry out missions in, a three man cell. 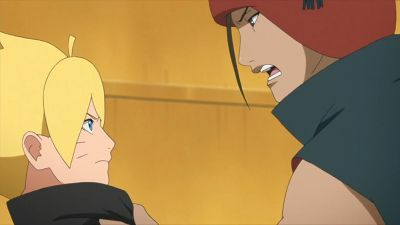 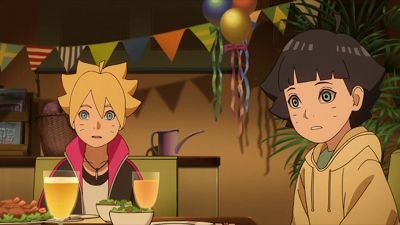 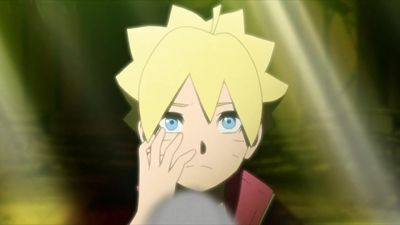 Boruto expected to group up with his close friend Shikadai; however, Shikadai is forming a cell with Inojin and Chocho, following in their parents’ footsteps of the ‘Inoshikacho’ trio. 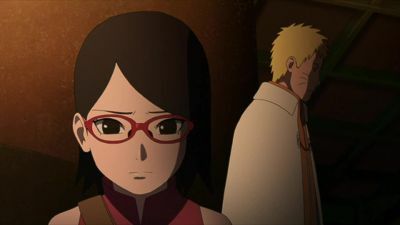 Boruto then becomes grouped with Sarada and Mitsuki……. 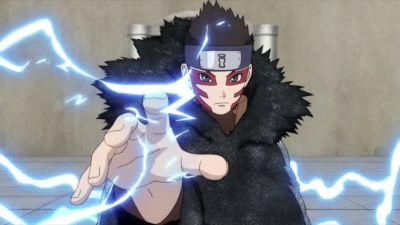 #19 - The Dream's Revelation! 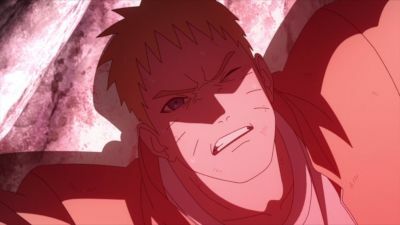 #23 - The Hokage's Son! 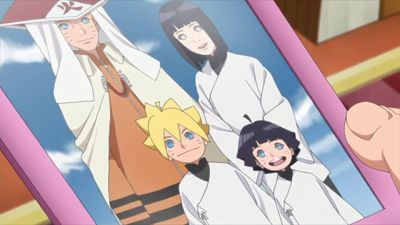 #24 - A Ninjutsu Battle of the Sexes!